When Batman: Mask of the Phantasm was released in 1993, it wasn’t with the hype and fanfare of a major release. A weak trailer, zero critic screenings, only a McDonalds Happy Meal months before the film that was tied more to the show than the film. Warner Bros. utterly threw the film away to the point it didn’t even play all day on opening day at one theater in my town. No wonder it didn’t crack even the top 100 in 1993, a feat I should stress Weekend at Bernies II and Super Mario Bros. achieved. Of course time has a way of rectifying a studio’s error. 25 years later, the film is viewed by many fans as the very best Batman film ever. It recently got a one day theatrical rerelease and was included on the stunning remaster of the Animated Series blu-ray set. 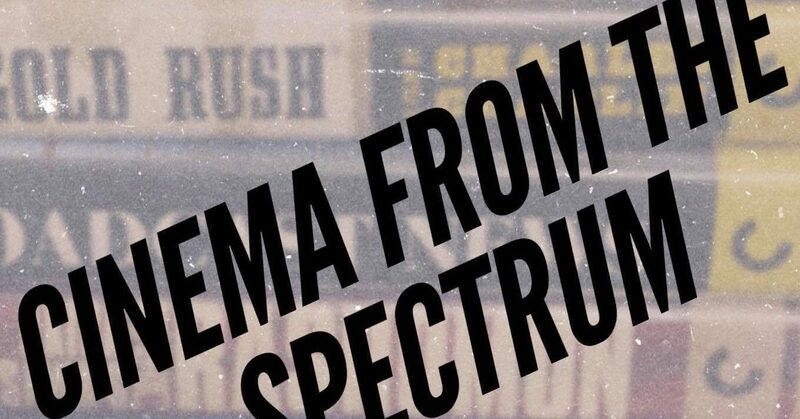 It’s almost impossible to find a negative word on the film. But why? Rewatching the film, I was shocked to find not the simple, safe film I’d grown up with but a devastatingly tragic film that doesn’t just deconstruct Batman but makes his life into a living hell. To be Batman, the film argues, isn’t to be the most awesome person ever but a mentally tormented orphan trapped by a vow that has proven misguided. It sets fire to any glamour one could find. And it does this as the PG-rated family film version of Batman. In the film, Batman (Kevin Conroy) finds himself mistaken for the mysterious Phantasm (Stacy Keach), a murderous vigilante wiping out those connected to an organized crime syndicate in Gotham City. At the same time he encounters his great lost love, Andrea Beaumont (Dana Delany), the woman who gave him a moment of hope in the formative days of Batman. Tragically these two threads are all too entwined, leading to an ending that ranks with the darkest in the genre. Save for maybe Batman Begins, there isn’t another Batman film this fixated on Bruce Wayne’s character. This film is completely about how agonizing it would be to be him. He’s tormented by the promise he made to his parents to avenge their death. Andrea makes him think maybe he could walk away. But he can’t. No matter how hard he pleads to their graves, Bruce Wayne is doomed to be Batman. That’s a hell of an idea to go through. Assuming the hero’s mantle is normally a heroic moment, especially as seen in Spider-Man: Into the Spider-Verse. But not here. Being Batman feels painful. He isn’t invincible. He bleeds. And he will die more or less alone. No wonder the scene where Bruce Wayne puts on the mask is played as a a transformation straight out of a gothic horror film. This is such a nihilistic film through and through. The film is honest: Bruce’s quest is doomed. A universe where a nameless hitman before Batman becomes The Joker (Mark Hamill) is not a winnable universe. It even point blank states that vengeance blackens the soul. Sure Batman doesn’t kill but how clean is he? And all of this is in a 76 minute long PG rated movie sold to kids. A friend compared the WB Family Entertainment logo before this to a Looney Tunes short before Blade Runner. He’s right. This is such an odd film to play to families yet I know at 10 I dug it. I didn’t get it but it was interesting to me. That’s because it’s an absolute marvel to look at. There’s not one bad frame in this thing. It’s a lush film with deep blacks and blues which give it a rich atmosphere. The action, of which there’s no shortage, is thrilling on par with anything in live action. The characters are immensely expressive. The recent blu-ray release makes this staggering to behold. All of this is amazing when you consider the film was a complete rush job for the animation staff. It’s not something you can tell. It’s also a triumph of voice work. Kevin Conroy delivers by far the best work any actor has done as Batman, capturing every note possible in the film’s brief runtime. Dana Delany proves a powerful foil as the all too dark mirror image of Bruce Wayne. In the antagonist roles, Mark Hamill does his usual greatness as a relatively lightly used Joker while Stacy Keach is unsettling as Phantasm and quite poignant as Andrea’s father. 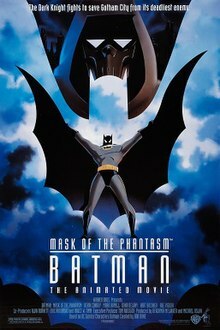 Batman: Mask of the Phantasm might’ve been an oddity in 1993 and to a great degree still feels like one as it’s one of very few serious minded animated movies to see wide theatrical release in the last 30 years. However, time has cemented its place as one of the greatest superhero films ever while it feels as alive as it was on release.